There's a circle icon by the sentence "View and.."; and a white arrow icon by the sentence "Display and.."; What do the icons mean? "i inside circle" is just a UI design. If you hover over mouse pointer or click on the icon, it will show all the related information. This all is to warn the user for secure login or to use any third party app. the blue dot icon means: "this is a common thing for these kinds of stuff/script etc"
the arrow on a blue sheet means: "user should pay more attention to these, because it may consist of kinds of things/permissions which user can disagree to provide"
Not the answer you're looking for? Browse other questions tagged google-account security user-interface or ask your own question. 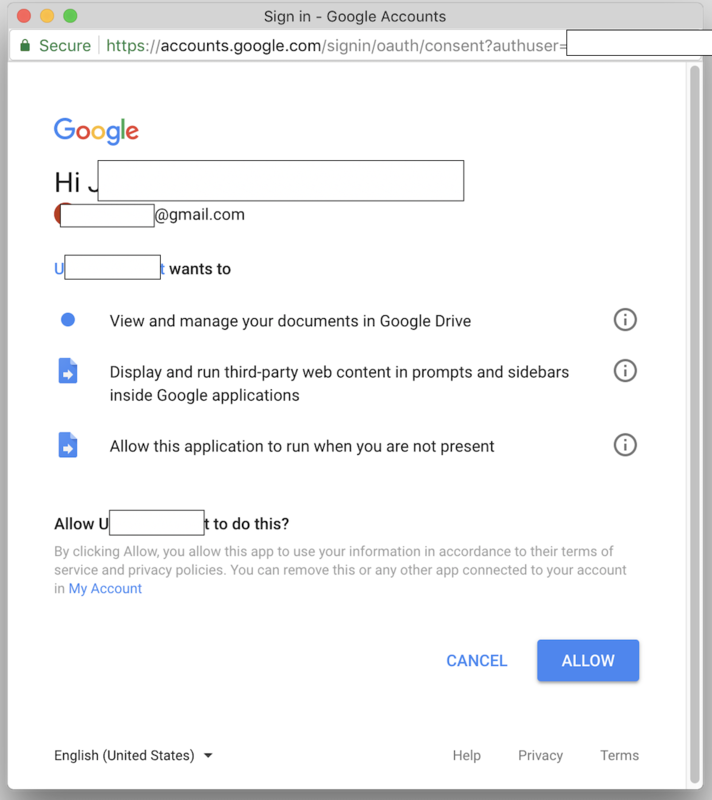 Hiding everything of a Gmail account?